During the February school break (Feb. 26- Mar. 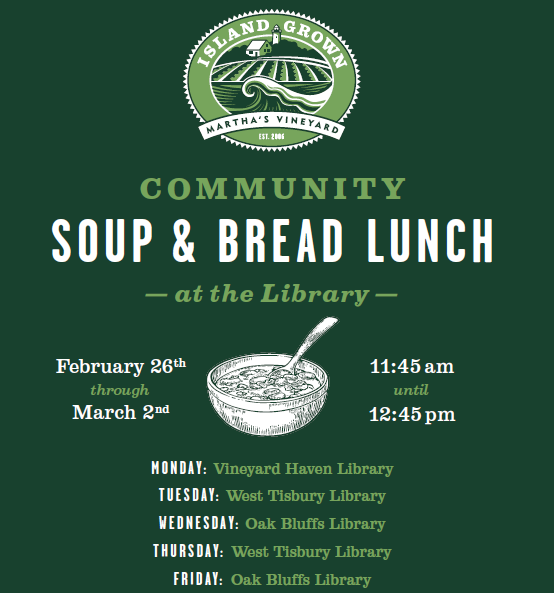 2), the library will serve a free soup and bread lunch each day! Tuesday and Thursday’s lunches will be provided by IGI.